Staph infections occur when the staphylococcus bacteria infects the body. The most common places on the body to be affected are the skin and the inside of nose. Usually, staph infections are minor. However, there are occasions when staph infections spread into your blood stream or affect your bones, joints, heart, and lungs. If not treated properly staph infections can become fatal. Antibiotics may work to relieve symptoms, while always keep in mind that prevention is the best cure. Staph in the nose is caused by a strain of bacterium known as staphylococcus aureus. This is a common issue for all humans and research shows that nearly 30% of adults carry staph in their nose at all times. However, the presence of staph does not automatically mean an infection. The bacteria develop into an infection in only a portion of the population. Staph has the ability to survive hostile conditions, such as extreme temperatures, dry environments, and exposure to salt. Staph bacteria can be transmitted from person to person. It is possible for staph to live outside of the body, which means if you are living with someone carrying staph, you run a decent risk of developing an infection. 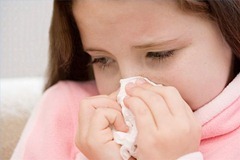 Symptoms of a staph infection in the nose occur locally and throughout the body. Local symptoms include inflammation in the nostrils, yellow or green mucus, nasal discharge, nasal congestion, sore throat, fever, cough, and pain in the nasal membranes. As the infection worsens, symptoms might also include fever, chills, and sinus headaches. Staph can also trigger distant symptoms. These symptoms affect the skin and include pimples, impetigo, boils, abscesses, carbuncles, and cellulitis. Pimples might develop on the face, neck, chest, upper back, and inside of the nose. Carbuncles are a cluster of pimples and cause the skin cells in the surrounding area to die. Cellulitis causes inflammation and can develop into an abscess. Staph can also cause invasive disease symptoms. This means staph has developed into a serious, life-threatening medical issue. If any of these symptoms occurs, you must seek medical attention immediately. Symptoms of staph developing into an invasive disease include pneumonia, scalded skin syndrome, endocarditis, otitis media, meningitis, osteomyelitis, toxic shock syndrome, bacteremia, and sepsis. These secondary diseases are an indication that staph has moved into other parts of the body and is now affecting the lungs, skin, ears, heart, bones, and brain. Once you have undergone testing to determine your strain of staph, your doctor might prescribe an antibiotic, including nafcillin, cephalosporins, sulfa drugs, or intravenous vancomycin. Intravenous treatments are becoming increasingly popular options because staph has become so resistant to traditional antibiotics. In recent years, healthy people have begun experiencing life-threatening staph infections. Previously, the majority of serious staph infections were experienced by those suffering from chronic illness or living with a compromised immune system. Health experts believe the recent rash of staph infections in healthy people could be happening because of a reduction in the effectiveness of the antibiotics intended to treat the infection. Eventually, bacteria grow stronger than antibiotics and are able to survive exposure to treatments that once killed them. Staph bacteria are extremely adaptable and many strains now have the ability to survive exposure to antibiotics. As a matter of fact, less than 10% of modern staph infections are affected by penicillin. Health experts estimate that as much as 50% of staph bacteria in hospitals are able to survive exposure to nafcillin and cephalosporins. 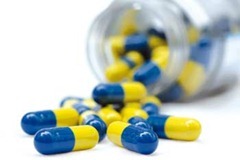 Stronger and more toxic medications are now being prescribed to treat staph. If a staph infection has traveled into the skin, a doctor can make an incision into the infected area and drain the fluid. This helps to remove the bulk of the infection. However, medication will likely still be prescribed. In cases when a staph infection is related to a prosthetic body part of internal device, it will need to be removed immediately. The remove of some devices requires surgery. Again, medication might be prescribed following surgery. Washing your hands several times a day, especially after you have participated in higher risk activities, cuts your risk for staph. Hand washing should occur for at least 30 seconds. When using a public restroom use a paper towel for touching the faucet and other surfaces once your hands are clean. If your skin has a cut, clean the area completely and cover it with a sterile bandage. Keep the bandage dry and change it frequently until the wound has healed. The pus from a cut or abrasion can contain staph bacteria, so covering the wound prevents it from spreading. Women who use tampons during their menstrual period will want to heed warnings about toxic shock syndrome. Changing your tampon frequently, which means at least every four hours, reduces your risk. Some medical experts recommend using sanitary napkins overnight or when you know you will be unable to change your tampon for an extended stretch of time. Sharing personal items, such as towels, razors, and certain pieces of clothing can spread staph. Remember, staph bacteria can survive outside of the body. If you touch something that is tainted with staph, you increase your risk for developing an infection. Pay special attention to items in your home, such as towels and bed sheets. Wash them frequently in hot water with bleach, especially if you or anyone else has cuts or sores. Skin irritation that seems to have been transmitted from another family member.